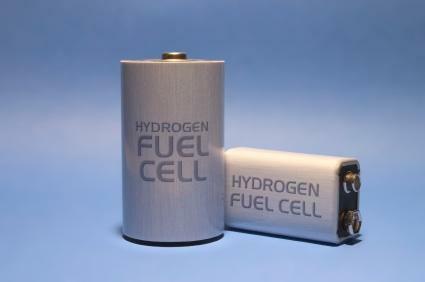 Hydrogen is used for a number of applications in industry. When you think about hydrogen hazards, what comes to mind? Do you think that is it more dangerous than other forms of fuel? After reading this article, you may come to the conclusion that hydrogen is not as dangerous as you may think. Hydrogen is a clear, odorless, and tasteless gas. It is lighter than air, which means that if a hydrogen leak occurs, it rises up into the air and dissipates, as opposed to spilling on the ground or on surfaces. Hydrogen is used by a number of industries for treating metals, in the petroleum-refining process, and the production of chemicals. It has also been used as a fuel in the Space Program. Hydrogen is flammable and must be handled with care, just like other flammable substances. In order for hydrogen to ignite, it must be contained and combined with oxygen and an ignition source. If hydrogen is ignited, it burns off very quickly. It is very difficult for the naked eye to detect hydrogen burning, since it burns in the ultraviolet color range. In order for hydrogen to turn into a liquid form, it must be cooled to at least minus 423 degrees Fahrenheit. If liquid hydrogen comes into contact with exposed skin, it can cause severe freeze burns. A freeze burn is similar to frostbite. In order to keep hydrogen cooled enough to keep it in a liquid state, it is stored in specialized container that are double-walled and heavily insulated. The chances of the liquid actually escaping and coming into contact with a person's skin are quite small. Hydrogen can explode, but only if it comes into contact with oxygen. Gasoline and propane, which are heavier gases than hydrogen, are more likely to explode. The fumes from each of these tend to stay close to the ground, which increases the likelihood of explosion. One famous explosion and fire associated with hydrogen is the destruction of the Hindenburg in 1937. Hydrogen was used to keep the giant airship in the air. For a number of years, it was thought that the hydrogen was to blame for the fire that broke out as the Hindenburg was coming in for a landing at the Lakehurst Naval Air Station in New Jersey. The entire ship was destroyed by flames in less than one minute. More recent research has pointed to a different cause for the disaster, however. New evidence has shown that the fabric on the outside of the ship was coated with highly-flammable chemicals that were similar in composition to rocket fuel. An electrical discharge from a storm is now thought to be the true cause of ignition. The Hindenburg disaster was responsible for the loss of 35 lives. Almost all of these were caused by the people involved jumping from the burning aircraft, as opposed to the fire itself. The hydrogen on board ignited, but the flames would have burned up and away from passengers. The hydrogen fire would have burned off very quickly. Hydrogen is non-toxic and is not poisonous. Using hydrogen as a fuel source does not create fumes, pollute the atmosphere, or contribute to the global warming that is such a cause for concern today.If appropriate safety measures are taken, hydrogen hazards can be kept to a minimum. There are definite advantages to using hydrogen in industry as opposed to other, more flammable substances like gasoline or propane.